Last year June marked the third consecutive year where serious divergences concerning the right to strike affected the International Labour Conference. In turn this resulted in the Conference Committee on the Application of Standards only being able to partially conclude its work. Historically it is worth recalling that, since the 19th Century, the fear of strikes had been the main reason for limiting workers’ organising rights. Conversely, the gradual permission of organising – or “combining”, as it was previously known – was accompanied by recognising the right to strike. A Comparative Analysis on Freedom of Association was published by the ILO in 1927 and at that time there was no formal agreement on the standards regarding freedom of association. The Analysis concluded that it was seemingly impossible to make a distinction between the right to strike and the right to organise. Limitations of the right to strike also translated into limitations of the right to organise. The right to limit both, in certain conditions or for specific categories of workers, was recognised. Yet the two rights were, and still are, indivisible. The right to organise has a number of consequences. It implies that workers, or employers, have the freedom to express their views jointly and publicly; they have the right to meetings, premises, property and a legal address; they can negotiate and demonstrate; and at the end of the day, they have the right to withhold their labour. If it is generally accepted that workers have the right to organise and conclude agreements with the employers, then all legal stages to reach such agreement belong to organising rights. The right to collective action, in order to agree to conditions of work, implies the right also not to agree if terms offered are deemed unsatisfactory. It is inaccurate to suggest that a barrier could separate the right to strike from all other collective action rights to which workers are entitled. Of course, rights have to be exercised reasonably and any limitation of them has to be reasonable as well. The Committee on Freedom of Association, of the ILO’s Governing Body, has repeatedly set out the legal framework of organising rights by reminding that trade unions have to respect the law of the land – which, in turn, has to respect the principles of freedom of association. The Comparative Analysis of 1927 built on extensive studies on national legislation and practice and its evolution. As the Freedom of Association and Collective Bargaining Conventions were adopted only two decades later, in 1948 and 1949, one could safely consider that historically the right to strike was, and still is, an essential element of the principles of freedom of association in national law and practice. During the Cold War recognising the right to strike was less problematic. This included the right to strike with clearly political purposes, as was the case in the early 1980’s with the Gdansk shipyards in Poland. Many decades earlier the organising of rights was used to promote both social and political aims, such as the call for universal suffrage together with a call for an eight-hour working day. Most of the time the difference between a political and a social claim is a line drawn in water. The Freedom of Association Committee has noted that on the one hand trade unions have the right to present claims of a political nature when they reflect their members’ fundamental interests. But on the other hand, trade unions should not assume the functions of a political party. Establishing this balance has been necessary in many cases dealt with by the ILO’s standards supervisory mechanism. One recent and prominent case is that of Zimbabwe which was examined by a Commission of Inquiry in 2009 following a joint complaint by Workers’ and Employers’ Delegates to the International Labour Conference. It is strange that the disappearance of Communism or other autocratic systems could be used as an argument to withdraw protection from the right to strike as compared with other organising rights. This creates an absurd situation where the right to strike appears to be acceptable in authoritarian systems – but is contested as systems become democratised. A consequence of this argumentation is that the right to a political strike could in fact enjoy more protection, depending on the prevailing system, than a strike which has purely economic aims or aims related to the exercise of workers’ fundamental rights. One is tempted to ask, is it actually the new global competitive economic situation which has provoked this new wave of calls for curbing the right to strike? In the immediate aftermath of the Cold War certain Employer representatives questioned whether, after the collapse of communist systems, the ILO was still needed. However, gradually it was accepted that history had not come to an end and that the new universal market economy needed social rules of the game. This led to the notion of fundamental principles and rights at work. The relevant ILO Declaration of 1998 set out these rights: freedom of association, the abolition of forced and child labour, and non-discrimination in employment and occupation. Yet a bitter disagreement continues on the first of these four categories. Employers continue to maintain that the Freedom of Association Convention 1948 (No. 87) does not cover the right to strike. The conclusions of the ILO’s standards supervisory mechanism on this right, and its limits, have been expressed primarily by the independent Committee of Experts on the Application of Conventions and Recommendations as well as the tripartite Freedom of Association Committee. In addition to the question of substance on the right to strike, another dimension of the disagreement has been the extent to which the supervisory bodies – and especially the Committee of Experts – have the authority to interpret the meaning of Conventions. Paradoxically, seeking to limit interpretative elements in the conclusions of the Committee of Experts contradicts a long-term trend to adopt Conventions which concentrate on general principles. Immediately after the Cold War, one of the concerns regarding the standard setting was that too much detail in Conventions tended to hinder their ratification. Many of the fundamental Conventions, in fact, contain only a few operative articles. This provides flexibility and promotes ratification, and it also underlines the importance of continuous assessment of the correctness of their application. The Committee of Experts is an indispensable tool for such assessment. The Committee has pointed out that it cannot assess the application of a Convention in concrete situations without resorting to a degree of interpretation, despite its views not being legally binding. The question of the authority of the Committee of Experts is not limited to the currently contentious issue of the right to strike. At the 2014 Conference, Employers considered that the Committee of Experts had exceeded its limits by making observations on legislative action (or lack thereof) in case of child labour or austerity policies. They argued that the Committee of Experts should limit itself to “technical” considerations instead of venturing into what might be seen as “political”. This, of course, presumes that such a distinction can be made. This seems to reflect a view that controversial issues should be limited to specific complaints procedures, such as representations under Article 24 or Commissions of Inquiry under Article 26 of the ILO Constitution. Yet when, in 1993, the Governing Body extended the reporting cycles for Conventions, the quid-pro-quo for less frequent reporting was enabling the social partners to better break into the reporting cycle when urgent issues appeared. That such issues contain a degree of controversy should not have been a surprise for anyone. The Conference Committee on the Application of Standards could not complete its work in 2012 and again in 2014 due to a divergence between the Employers’ and Workers’ groups. The natural reaction of Government representatives was to insist that the two groups agree. Understandably they had no desire to now take a stand on the issue of the right to strike, as they would have faced certain criticism at home from one or another group. Still, the practice of labour relations and tripartite cooperation does not mean that full agreement is the only way forward. Agreement often needs to be facilitated. This is why mediation mechanisms, including arbitration, are an integral part of industrial relations practices. It is normal to search for solutions which everyone can live with, and make the best use of. An acceptable compromise is a worthy aim. It is usually better than a “victory” which might appeal to lawyers who are more tuned towards litigation instead of reasonable labour market solutions. I conclude with one prominent example: The 1998 Declaration on Fundamental Principles and Rights at Work is generally seen to express the consensus on core labour standards. Yet the tripartite Conference committee was unable to conclude negotiations on the text, as each side had issues of principle which they could not explicitly abandon. As a result, the Chairperson of the Committee tabled a final proposal, not for discussion any more but on a take-it-or-leave-it basis. In words and substance, this text remains well accepted today. 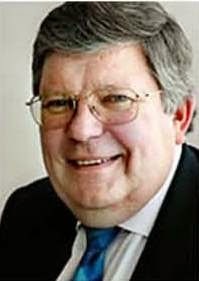 Kari Tapiola served as Deputy Director-General and Executive Director of the ILO from 1996 – 2010. Since October 2010 he has been Special Adviser to the Director-General of the ILO. In his professional life he has especially dealt with questions of labour standards and fundamental principles and rights at work. This column represents his personal views and is not an official position of the International Labour Office. When the employers question the legitimacy of strikes do they also question the legitimacy of lock-outs?